We’d love your help. Let us know what’s wrong with this preview of Shaka Zulu by E.A. Ritter. Shaka Zulu was founder of the Zulu nation, a born leader and a brilliant general. This remarkable king, was a contemporary of Napolean, and his achievements rivalled the Emperor's. For in the space of twelve years, he organized an immense army of skilled and disciplined warriors, conquering and pacifying a territory larger than Europe. To ask other readers questions about Shaka Zulu, please sign up. What Would Lara Croft Read? Mr. Ritter has put Shaka's reign in its proper prospective, using 1st hand accounts of people that lived during his life. Using diaries of Englishmen who lived among the Zulu's during Shaka,s reign. He also was fortunate to have the exprtise and papers from paternal grandfather, and the oral histories from Zulu elders. To really evaluate the life of Shaka you have to breakdown his life into three parts. #1 before the death of his mother, #2 during the year of mourning of the death of his mother, Mr. Ritter has put Shaka's reign in its proper prospective, using 1st hand accounts of people that lived during his life. Using diaries of Englishmen who lived among the Zulu's during Shaka,s reign. He also was fortunate to have the exprtise and papers from paternal grandfather, and the oral histories from Zulu elders. To really evaluate the life of Shaka you have to breakdown his life into three parts. #1 before the death of his mother, #2 during the year of mourning of the death of his mother, #3 after the year of his mourning to his death. #1 Before the death of his mother - He ruled with a strict abherance of the laws, and breaking of the laws ussually ended in death. He was fair but harsh and ruled in compassion and incorparated conquered tribes into the Zulu nation. He extend his boundries from 100 miles to 100,000 miles in approximately 12 years. he was a military genuis compared to the likes of Napoleon and wellington. He changed native warefare and the glory of the zulu nation that lasted 60 years after his death. he honoured courage and heroism. He loved and honoured his mother all her life. He was loved and acclaimed the greatest king in Zulu history. #2 During the year of mourning of the death of his mother - He became despondant and suffered from severe depression. During this time period is when a majority of his most atrocious and ruthless killings took place. A fascinating book about a fascinating man and culture. I was left with the feeling that, had Shaka been living in, say, Europe and been white he would have been heaped with long lasting praise as an innovator, master tactician, talented General and empire builder - he would be spoken of in the same terms as Napoleon or Alexander The Great or the armies of Rome. However, he lived in Africa and was black and, except for a select few, no one outside of Africa knew of his amazing achievements, his A fascinating book about a fascinating man and culture. I was left with the feeling that, had Shaka been living in, say, Europe and been white he would have been heaped with long lasting praise as an innovator, master tactician, talented General and empire builder - he would be spoken of in the same terms as Napoleon or Alexander The Great or the armies of Rome. However, he lived in Africa and was black and, except for a select few, no one outside of Africa knew of his amazing achievements, his innovations in battle, his moulding of a disparate group of tribes into one Zulu nation - and not always through force either. Yes he could be brutal, but no more than many kings and emperors in Europe at the time. But he also showed great care for his people, and in particular his warriors. Nevertheless he would be considered a savage by the 'civilised' interlopers in his country. The end, even though I knew what was coming from other sources I had read, was still very sad and moving to read because, during this lengthy book, I had grown to admire this man and even to like him, at least in certain of his moods. I might not have always agreed with his actions but this was, of course, a different time and a different culture and I am not in a position to judge. Before this book I knew something of the times following Shaka's reign, of what became of the Zulu nation, but this explained so much - how the Zulu army became so disciplined, so feared in battle, why Shaka's name was still spoken in awe so long after his death, and why the Zulu nation was as impressive as it was. So sad we (the English) were responsible for its ultimate demise. A great loss to Africa and the world. If you're interested in the history of the Zulus, or just want to read the fascinating life story of a fascinating man, this book is well worth your time. Highly recommended. This one is in my top 5 of all time. Such an interesting character in history. Shaka Zulu was a contemporary of Napolean and controlled more land mass than Napolean ever did. Great stories in this book, and really interesting background on why the Zulu nation is so proud today. Buy, Borrow or Burn: Buy! If you can find it. The best account of one of history's most interesting leaders. I have read this before but this time it was merely for research purposes. 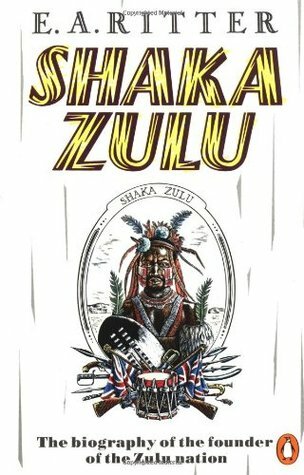 One of the better texts regarding Shaka, probably because the author was closer to his subject than many late comers and knows the Zulu traditions and oral history well. He leans probably a touch too much on the generous side regarding some of Shaka's excesses but his knowledge of the culture cannot be faulted. Nowadays it would probably be written in a more dramatic, less scholarly fashion but it is informative, readable a I have read this before but this time it was merely for research purposes. Nice and readable history book, part story and part history, covering Shaka's life from youth to death and some of the factors which may have influenced his actions. Also covers some of the battles which made him so successful. Author seems to take his side, defending him against the bad reputation other authors have given him. Fascinating book about the founder of the Zulu nation. What an amazing story ... superb book that you want to re-read again and again. Proceed with caution: not current or reliable history; also a "white" view of Shaka, tapping into black oral narratives (for the current scoop, see Caroline Hamliton, Terrific Majesty). Still a gripping read, however, of a figure who continues to loom in South African and global consciousness. This a great historical book. It is about an African tribe lead by Shaka Zulu, their great leader. The culture of the tribe and how it grew under his rule are so interesting. I highly recommend this book, especially to people interested in history and learning about a culture. Still busy with this one, but a good one to learn about the history and culture of our own Zulu people and the dirty politics of the British, even in 1824! Written in the 50's. Hard to follow. Interesting though.